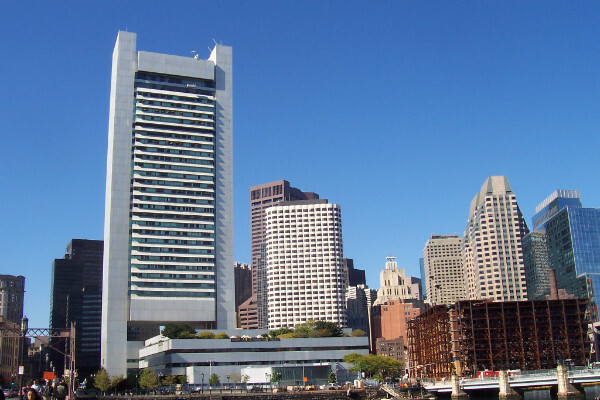 The Harvard Management Company is headquartered in the Federal Reserve tower in downtown Boston. After a year in which President Drew Faust and fellow university leaders successfully persuaded members of Congress to sustain federal funding for scientific research—in opposition to the Trump administration’s budget outline—they now find the tax proposal advanced last week by the Republican leaders of the House of Representatives aiming for the first time at private institutions’ endowments. Though the sums involved may not be large initially, the proposal, if enacted, would set the precedent for taxing endowments more heavily. It may also be the case that changes in corporate taxation would eliminate the tax-exempt status of several kinds of special-purpose bonds, raising the costs to borrow funds to build certain new university facilities. More generally, of course, the move to encourage standard, rather than itemized, deductions on individuals’ tax returns might make the benefits of charitable giving less visible, or attractive, to prospective donors. In fiscal year 2017, Harvard recorded $450 million in current-use gifts (9 percent of operating revenue), and $550 million in endowment gifts—largess from the current capital campaign, and obviously important sources of cash for immediate expenses and future commitments. as recently reported, a majority of Republican and Republican-leaning voters now tell pollsters that they think colleges and universities damage the country. Sec. 5103. Excise tax based on investment income of private colleges and universities. Provision: Under the provision, certain private colleges and universities would be subject to a 1.4 percent excise tax on net investment income. The provision would only apply to private colleges and universities that have at least 500 students and assets (other than those used directly in carrying out the institution’s educational purposes) valued at the close of the preceding tax year of at least $100,000 per full-time student. State colleges and universities would not be subject to the provision. The provision would be effective for tax years beginning after 2017. JCT estimate: According to JCT, the provision would increase revenues by $3.0 billion over 2018-2027. The arithmetic apparently works this way. To simplify matters, assume that the endowment corpus indeed yields investment income of 8 percent each year, and that the investment income, not principal, is used to fund the distribution for operations. Given long-term expectations of 3 percent inflation in higher-education costs, a fiduciary body like the Harvard Corporation, aiming to preserve the endowment’s purchasing power in perpetuity, therefore plans to distribute roughly 5 percent annually to support the academic mission, while retaining and reinvesting the 3 percent increment. Assuming an 8 percent return on $1,000 of endowment assets, the investment income for the year is $80 and the excise tax sends $1.12 to Washington, leaving a university with $78.88. Assuming that $80 annual investment income and payment of the $1.12 of excise taxes to the federal government, but imposing that only on the distributable portion, looks like this: $50 minus $1.12 equals $48.88—effectively, a tax rate of 2.2 percent to 2.3 percent. Is this catastrophic for an organization with operating revenue of $5.0 billion and a nine-figure operating surplus in fiscal 2017? Today, no—in the aggregate. But is $38 million real money? Emphatically yes. And such sums matter proportionally even more for highly endowment-dependent units like the Faculty of Arts and Sciences, which derives more than half its income from the annual distribution, and relies on it to defray a large share of significant financial-aid and research costs. As the sums grow over time, and in financially adverse periods (like 2009 through 2011), the operating effect of the proposed tax looms far larger. Inside Higher Ed quoted Ted Mitchell, president of the American Council on Education, as saying, “Taken in its entirety, the House tax reform proposal released today would discourage participation in postsecondary education, make college more expensive for those who do enroll and undermine the financial stability of public and private, two-year and four-year colleges and universities." Focusing just on endowments, the Chronicle of Higher Education estimates that about 140 institutions would be subject to the new tax, if enacted, beginning, naturally, with Princeton, Yale, and Harvard (in decreasing order of endowment per enrolled student): major research institutions, and all committed to need-blind admissions and meeting students’ full financial need. Others in the top 10 are Stanford and MIT, but also the liberal-arts colleges with significant resources per student: Pomona, Amherst, Swarthmore, Grinnell, and Williams. They and their supporters may be presumed to oppose the proposed excise tax. But for an item worth $3 billion during the next decade, according to the congressional estimate, with multiple trillions of dollars at stake, will such efforts be successful? Or will colleges and universities’ voices be drowned out in the larger fight over the tax-cut legislation? In the meantime, the Chronicle of Higher Education’s most recent tally of selective colleges whose students incur the least federal loan debt to pay for their educations overlaps almost exactly with the list of those highly endowed institutions. Taxing college and university endowments would have devastating effects on students and faculty. Harvard’s endowment is what fuels our excellence, affordability for students of modest means, our commitment to discovery, and our impact in the world. This measure would disadvantage universities in the charitable sector, and—in targeting universities—weaken the nation’s strongest contributors to medical cures, economic innovation, job creation, scholarship, and access to higher education for students of all economic backgrounds who will shape our future. Harvard’s endowment is not locked away in some chest. It is at work in the world. Endowment proceeds fund nearly 40 percent of the university’s operations, with nearly a quarter spent directly on financial aid. The balance funds labs, professors, and libraries—and helps enhance affordability for students. A tax on university endowments is really a tax on the people who make up these institutions and the work they do: donors, alumni, staff, students and faculty. We will continue to work assiduously to make clear why this would be such a destructive measure. Philosophically, the proposed excise tax on private institutions’ endowments appears at odds with conservative principles. Republicans have, traditionally, sought to restrain public spending (and many states with Republican governors and legislatures have cut back public universities’ budgets considerably during the past decade), and to encourage the private sector. In this instance, obviously, the search for revenue leads to proposed taxation of private, or at least nonprofit, institutions—where the resources are, and, as noted, a sector in some ill repute among at least a significant portion of the voter base. In this sense, it is not a propitious time to be an elite institution, with elite resources. Of course, some prominent Republican Party donors are also philanthropic supporters of higher education. To name two examples close to home, Kenneth Griffin ’89, of Citadel Capital, jump-started the Harvard campaign with a $150-million gift, principally for undergraduate financial aid, and just announced a $125-million gift to the University of Chicago to support faculty research and student scholarships in economics. Similarly, John A. Paulson, M.B.A. ’80, made a $400-million naming gift to the School of Engineering and Applied Sciences, aimed at supporting its ambitions to become a much larger research center and to help it accommodate burgeoning student enrollments. Did they envision the income to be distributed from their gifts, when received and invested, being subject to taxation? Might Harvard hope to enlist them in raising this issue with candidates they have supported? In the meantime, one imagines university and college budget officers modeling future revenues. It doesn’t take a cynic to assume that at least some, considering prospective taxes on their endowments and reduced incentives for charitable giving, will look to their remaining best source of unrestricted funds: undergraduate tuition and fees. The temptation to raise term bills (or to reduce aid formulas—the same thing—perhaps by deciding not to adjust them for annual increases in those term bills) will loom large—presumably the exact opposite of the effect sought by politicians who have seen in endowments a source of lower college costs for families. And in the near term, the tax measure will serve the national interest of promoting fuller employment—at least among universities’ public-affairs representatives in Washington, D.C.